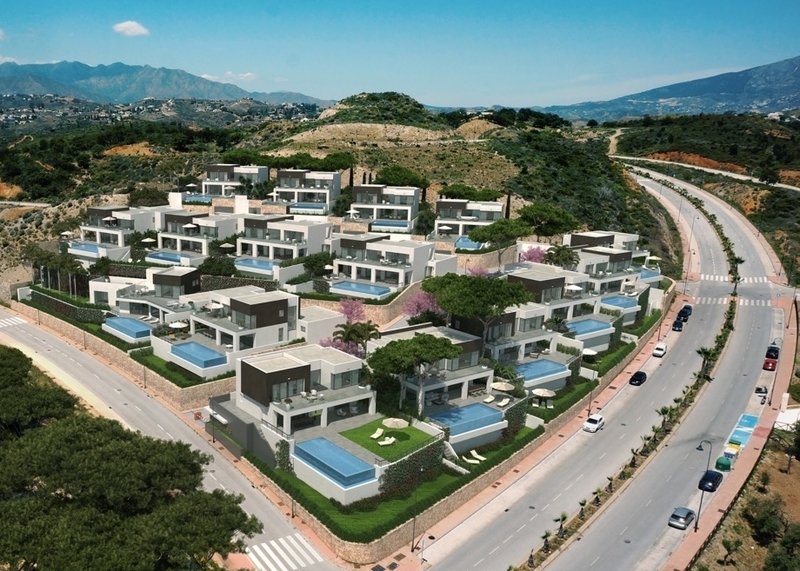 La Cala Views is a new development located in the exclusive and much sought after area of La Cala de Mijas (e. Mijas Bay). The project consists of 21 designer luxury villas, 16 in phase I which is fully sold and 5 in Phase II. Phase II is now available for sale and will start construction 2019 to be delivered before yearend 2020. Banco Popular is La Cala Views finance partner and as such will provide bank guarantees to buyers against any payments and will offer the possibility of financing with a mortgage up to 70% of the purchase price. La Cala View is furthermore a gated community with a remotely operated security gate at the entrance to the private street that adds to the comfort level of residents who want to leave their homes for extended periods.